Stay in style with eco-friendly jewelry. 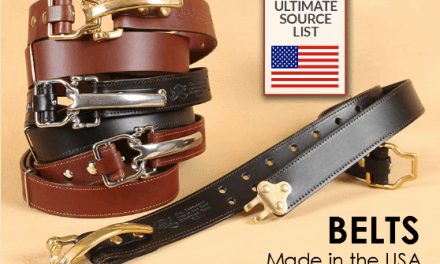 Here are the sources for made in USA eco-friendly jewelry. 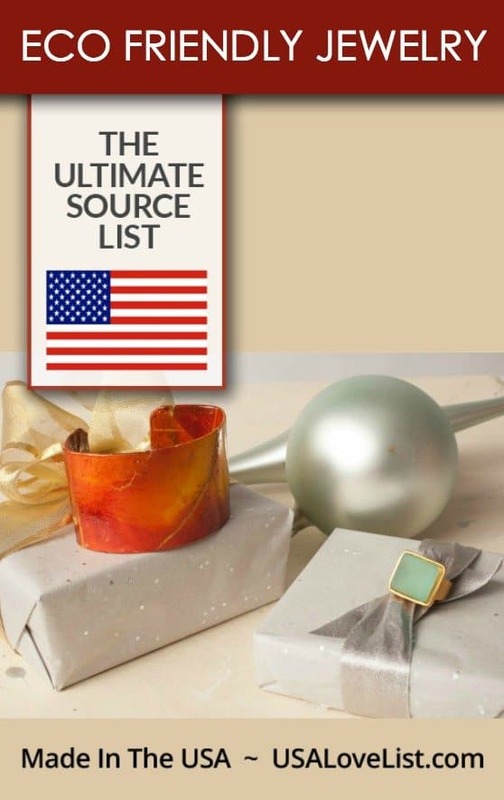 This is a source list you'll want to keep on hand for gifts or splurges you can feel good about. The Eco Lustre website is completely dedicated to stocking only made in USA eco jewelry. Eco Lustre offers various types of eco-friendly jewelry that is made by indie designers from sustainable, recycled materials, and all the jewelry is handcrafted in the USA. From contemporary, modern, and classic styles, you'll undoubtedly find pieces for yourself or anyone on your gift list. Alex and Ani offers eco-friendly, positive energy products that adorn the body, enlighten the mind, and empower the spirit. The brand has stores all over the US. The brand makes its jewelry in Rhode Island. Carolyn Pollack If you like Brighton jewelry, you’ll love Carolyn Pollack’s American made fashion jewelry collection. Unlike Brighton which is made overseas, Carolyn Pollack has been designed and crafted in the American Southwest for the past 35 years with 100 percent recycled silver and natural gemstones in New Mexico. 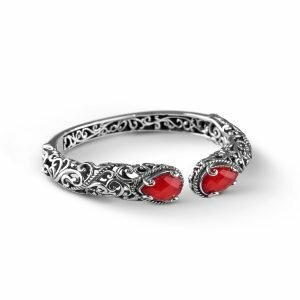 Dress up a little black dress or jeans and a tee with the Signature Sterling Gemstone Doublet Cuff. 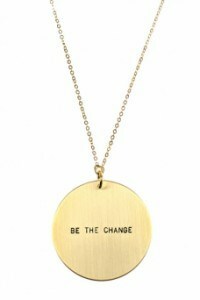 Dogeared, a California made brand, uses recycled sterling for its charms. They offer so many different collections, that there is sure to be a charm theme for any gift occasion. Hovey Lee sources 100% recycled metals from recycling centers. 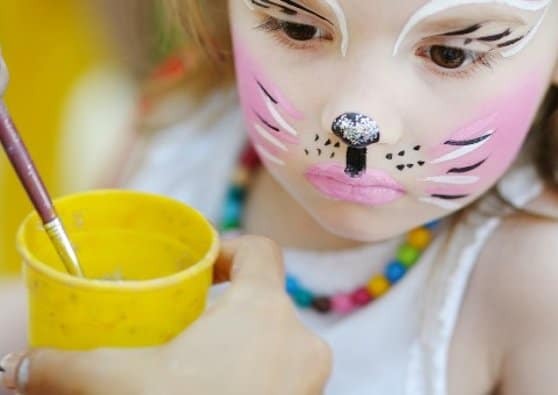 The jewelry is lead, nickel and cadmium free, which is great for anyone with sensitive skin. Kyler by Joy O offers eco modern jewelry made by hand in San Francisco. Joy's pieces are pretty, unique, and really cool. Nashelle uses recycled 14k gold fill and sterling silver materials, as well as natural gemstones to make its jewelry in Bend, Oregon. Revetro uses repurposed glass to make its jewelry and other products. It uses glass from bottles of Bombay Sapphire gin and Coca Cola bottles for variations of color. 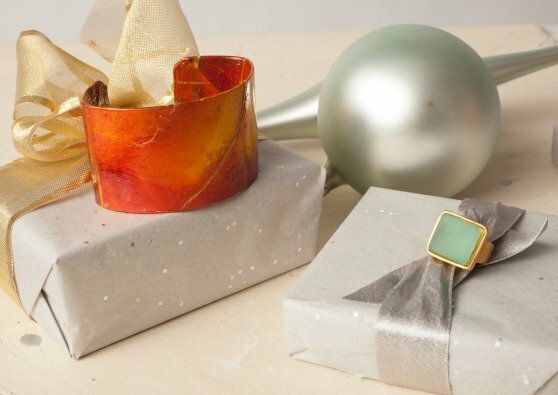 The Wendell August Upcycled Collection of jewelry is made in Pennsylvania from the metal scraps left over from the creation of Wendell August Forge giftware pieces. Cover image photo credit: Eco Lustre, Domenica Gallinatti. Love the Unchained Dreams Pearl Bracelet by J&I! So my style. I have several Alex and Ani bracelets and LOVE them! 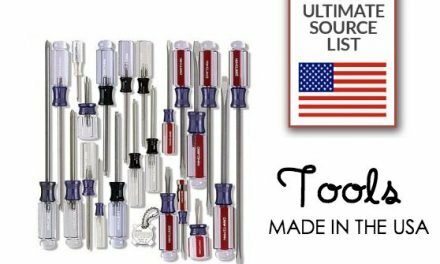 We share your passion for eco friendly products made in the USA. 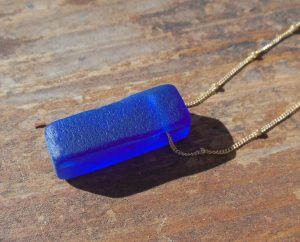 Our recycled glass jewelry is handmade with melted beer and wine bottles! Made in the Pacific Northwest, we offer low impact packaging and shipping. Check us out online at http://palomapottery.com – we’d love to be added to your awesome list. All Carolyn Pollack and American West jewelry is made in the USA at Bill and Carolyn’s design and production facility in Albuquerque, New Mexico, where environmentally-friendly procedures can be observed closely and maintained. For the last fifteen years, 100 percent of the silver used in the company’s sterling jewelry has been reclaimed from industrial processes, ensuring that no new mining takes place to supply Relios, the parent company of Carolyn Pollack and American West Jewelry, with silver. Relios also employs air and water filtration systems to capture silver particles during production processes and for its efforts to reduce waste and prevent harmful pollution the company received a Pollution Prevention Award of Excellence from the City of Albuquerque. I love that Dogeared uses recycled sterling! I had never heard of half of these brands before, until now. I love that there are so many eco-friendly American companies; that’s fantastic! BottleHood, the company that Leslie Tiano founded in 2009, closed up shop last year. Kelly and she resurrected reVetro last year… it is the continuance of their glass bottle jewelry that they designed and created for the earlier, now dissolved company. Also check out http://www.harvestgoldgallery.com most of there jelewry is made with recycled gold, and all of it is hand made in Maine. I loved the Cangles hairclip! It’s fantastic to know there are so many jewelry-makers in the US who are committed to sustainable and ethical practices in their businesses. Thanks for sharing! I am happy to say I am a rep for Color By Amber and I now own most of the pieces. I love how eco friendly they are, but I love the fact that they give back to artisan women and help build up under developed countries more!!! Thank you so much for sharing our fabulous company! I love being a Stylist for Color by Amber, we are a DO Good FEEL Good Company! I love knowing that we are helping women and families all over the world and it’s impacting our own back yard as well. I LOVE LOVE LOVE this list! I am a jewelry designer on aftcra. 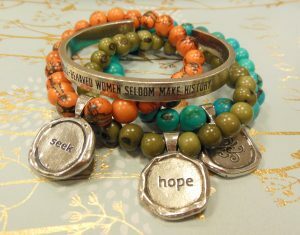 You can find tons of American handmade jewelry there – http://www.aftcra.com/jewelry. I love unique jewelry like these pieces. The bracelets, especially, are beautiful. I like the Bario Neal handcrafted jewelry. It is definitely my style and I would love to received this jewelry for a gift. Wow, all of these are beautiful. I really love that Carolyn Pollack double cuff bracelet. I’m looking for a domestic manufacturer of eco-friendly diffuser jewelry (for use with essential oils). Looking to make ongoing large, wholesale, purchases. Any suggestions? I do not have any Alex and Ani jewelry as of yet, but have a lot of friends who do. I will definitely buy some in the future!